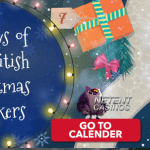 It took NetEnt a while to launch the first Christmas-themed slots as it was the end of 2015 that Flowers™ Christmas Edition and Fruit Shop™ Christmas Edition became available at the NetEnt Casinos. 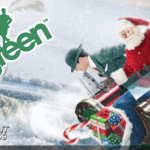 These two Christmas slots were followed by Secrets of Christmas™ in December 2016, bringing the total number of NetEnt Christmas slots to three, all of them described in this special NetEnt slots theme guide involving Christmas slots only. 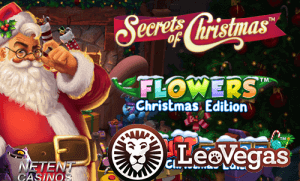 Let me start with the Christmas slot that I like the most, the Secrets of Christmas™ slot which was launched end of 2016, bringing a typical Christmas-themed game to the NetEnt Casinos. This standard slot game features a Coca-Cola type of Santa Claus, hot milk for his reindeer friends, stockings, gingerbread houses, and snow, capturing all the feel-good parts of Christmas. 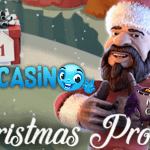 Playing the Secrets of Christmas™ slot, you get a chance to unpack gifts from under the Christmas tree from within the exciting Pre-Free Spins Bonus. Once you have unwrapped all your presents, 10 or more free spins will be awarded while you settle down next to the fireplace to play your free spins and listen to a medley of classic holiday tunes. 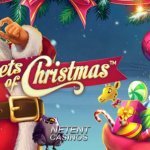 Although Secrets of Christmas™ is NetEnt’s first original Christmas-themed slot, it was in December 2015 that two existing NetEnt slots were turned into Christmas slots. One of them is the Flowers™ Christmas Edition in which you’ll see snowflakes falling onto the flowers. In my opinion, not the best type of video slot to turn into a Christmas slot, though, but it was the best NetEnt could give that year. While the flowers are blooming as if it’s springtime, snowy business is waking up the flowers from a sunny dream. It seems Christmas has arrived taking the flowers by surprise. Some flowers more amused than the others by this act of cruelty, I’m sure you’ll be amused by the Double symbols the Flowers™ Christmas Edition slot has been enriched with, perfectly combined with Wild Substitutions and Stacked Wilds during Free Spins. The Double symbols will occur in both the main game and during Free Spins, behaving the same as two individual symbols. Because of the Double symbols, your chances to win go way beyond the usual maximum five slot symbols as five times a Double symbol results in a maximum of ten symbols. This can result in a payout of up to an amazing x2000, multiplied by the coin value you are playing with. 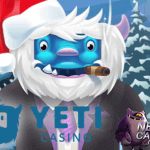 Add to that an x3 Multiplier and Stacked Wilds in Free spins, and this Christmas-themed slot could bring you some attractive wins so helpful in an expensive month like December. Just like Flowers™ Christmas Edition, also the Fruit Shop™ Christmas Edition involves an existing NetEnt slot juiced up for Christmas. Again you’ll be treated a joyful design that fits the festive season, although I still miss out on an original Christmas character, some delicious hot chocolate or mulled wine. Instead, you’ll be served some icy cold fruit surrounded by a lifeless snowman while a Christmas tree can’t be missing either. Just as the spring-themed version of the game, also Fruit Shop™ Christmas Edition is offering a fast-paced game, although without too many slot features. No worries, because less can be much more and the few features available in this Christmas-themed slot will bring enough excitement. Fruit Shop™ Christmas Edition brings many Wild substitutions, linked to an x2 Multiplier while a Free Spins Multiplier of x2 is available as well. Wild symbols will, as usual, substitute for all other symbols and appear in both the main game and during Free Spins on reels 2, 3 and 4. When a Wild symbol is involved in a winning combination, winnings will be doubled and if fruit symbols are involved, Free Spins will be awarded as well. Up to five Free Spins can be awarded within each spin in which wins will be multiplied by a x2 Multiplier. 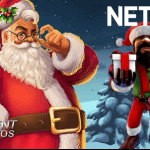 Get into the Christmas spirit with these Christmas-Themed NetEnt slots while many Christmas promotions are available through the NetEnt Casinos as well. Bring on Christmas, Ho Ho Hoooo!